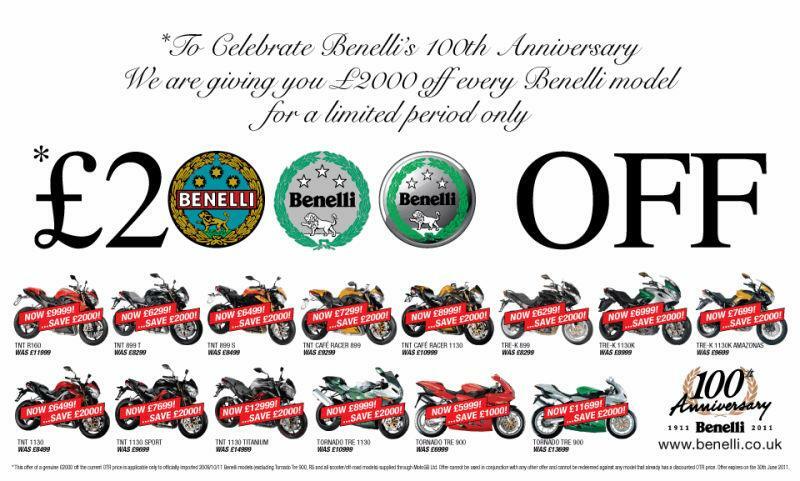 Benelli is 100-years-old this year and one part of its celebrations is a dramatic reduction of its On The Road (OTR) prices on selected road bikes in the present Benelli range. Machines that are not included in the deal are Tornado 900 and 900 RS models. 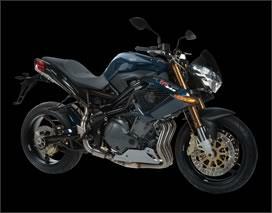 The money-saving promotion lasts until end of June 2011, which leaves just over a month to grab a bargain Benelli, such as the exquisite 117bhp naked TNT 899-T (was £8299 now £6299) and the adventure-styled TRE-K 1130K Amazonas, now available for just £7699. Benelli was founded in 1911 in the Italian town of Pesaro, where the first complete Benelli appeared in 1919 just one year before the first Benelli engine was manufactured in-house.